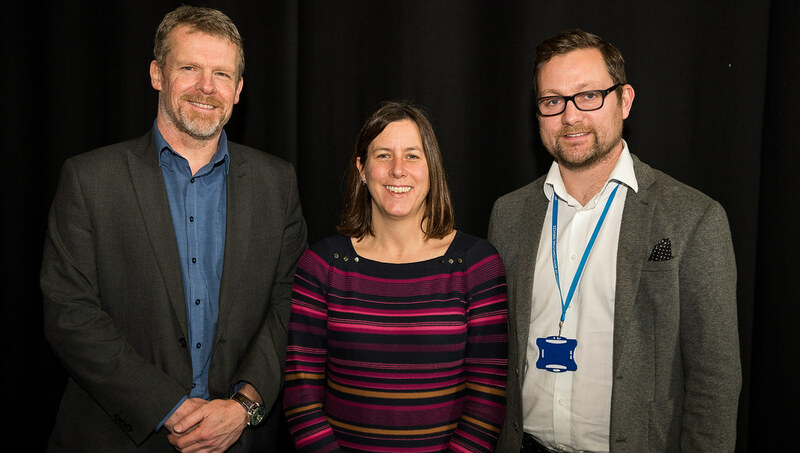 We celebrated the successful launch of our new Curriculum Management Information System (CMIS) with a thank you event at The Edge. CMIS was launched in September 2017 as the definitive source of information on units and programmes. Staff can use CMIS to view unit and programme information and propose changes. The system also supports Assistant Registrars, Directors of Studies, and committee secretaries to manage the approvals process and maintain oversight of programme changes. The system was developed in-house by Computing Services using an agile development approach. Many staff from across the university have been involved throughout the project - participating in process improvement workshops, user testing, and a pilot in the Faculty of Engineering and Design. Pro-Vice-Chancellor (Learning and Teaching) Peter Lambert expressed his thanks to staff who have been involved in the project. This has been a highly collaborative effort and the contribution people have made to the project has made a real difference. CMIS has already made curriculum changes more transparent and is helping to make the approvals process easier for staff. The CMIS Project Board is already looking at refinements and future development. Staff are encouraged to support this work by providing feedback about their experience of using CMIS via a CMIS Feedback survey. Staff can find more information about CMIS, including user guidance and answers to Frequently Asked Questions via the CMIS User Forum in Moodle.